The difference is in our approach - Treat the person, not their diagnosis. Discover an alternative approach in natural management of Hashimoto’s and hypothyroidism. We provide complete nutritional care for our patients. www.kaerwell.com/go/optimalhealthwellnesscenter. Optimal Health & Wellness Center, Ltd. will do our best to accommodate your busy schedule. Schedule an appointment and TAKE THAT FIRST STEP TO CHANGING YOUR LIFE, TODAY! Optimal Health & Wellness Center, Ltd. offers our patient form(s) online so they can be completed it in the convenience of your own home or office. We're here to provide comprehensive Functional Medicine and brain-based solutions for you to take charge of your health. Navigating the healthcare system can feel like driving without a road map. However, the Optimal Health and Wellness Center of Glen Ellyn, doesn't rely solely on the past medical opinions of others to guide treatment. Instead, we start from the beginning, working with patients to get a good picture of their medical history before embarking on the road to lasting well-being. If you answered yes to any of the questions above, you may be a good candidate for our comprehensive services at Optimal Health and Wellness Center. you to take charge of your health. Our focus is to bring together all aspects of a patients health to determine the best way to get the achieved results. We do it for our current patients everyday and we can do the same for you. At Optimal Health and Wellness Center, our focus is to uncover ALL of the reasons behind your condition and to restore function successfully. Our patients care about their health and not just being symptom free. They are looking to correct a problem or condition and have the results be long-lasting. We dig in and find the core element of your condition or problem by looking at the brain-body connection. We have extensive experience working with those patients who have: Chronic Fatigue, Digestive dysfunction, Endocrine issues (such as Thyroid Dysfunction and Diabetes), and Autoimmune disorders (such as Hashimotos’s, RA and Multiple Sclerosis) and Peripheral Neuropathy. If you've been to the doctor and have not received the answers you are looking for, we can help. As one of only a handful of clinics in the Chicagoland region, we take a unique approach with our patients’ health to truly find the core element of your condition and work to get you the results you expect. Call 630-858-9900 for more information and see if your qualify for care. We use the latest, cutting-edge technologies…and safe, natural alternative health solutions to chronic problems that most doctors treat with drugs. We focus on techniques and treatments that actually are PROVEN to work and only the ones that are appropriate for your pain management. Dr. Kelenyi focuses on fixing the issues your body has, rather than just covering up the symptoms with drugs. Dr. Kelenyi has developed a systematic approach to first, diagnosing and then treating each layer of your problem with a variety of painless techniques. We start all new patients with a series of tests to analyze your body's neurological & metabolic systems and then put together a plan to improve your body's performance. 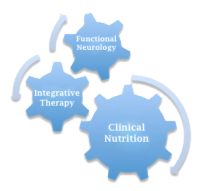 The Optimal Health and Wellness Center is proud to provide state of the art Chiropractic, Spinal Decompression Therapy, Brain Based Neurological Therapy (BBT) and Science Based Nutrition and Metabolic Treatments under one roof. Depending on your condition, test results and examination findings, we are able to utilize all the tools we have at our disposal to treat your condition effectively. Metabolic Treatment — During the course of this treatment we will seek to correct the imbalances in your metabolic system naturally, using all natural nutritional protocols and high quality nutraceuticals. This is also known as Functional Medicine. Neurological Therapy — Using Brain Based Therapy, we can help awaken or train parts of your brain that may not be functioning properly. This can lead to vast improvements in your quality of life and lessen the severity of many chronic conditions. Chiropractic Treatment — We provide advanced spinal correction utilizing "state-of-the-art" chiropractic techniques. Newer correction methods are safer, more comfortable and more effective than ever before. For an effective treatment plan, you will receive all the facts about our therapies by clicking one of the links below. Let us help you with your chronic condition. We want to make it easy for you to learn if you are a candidate for care in our office. Just call our office to schedule a consultation, at 630-858-9900, or email us to request an appointment. If you have recent lab work and/or imaging, please bring them to your appointment so the doctor can review them and advise you about your treatment options. Don't forget to join our newsletter. A FREE ebook, "Eat & Drink Your Way to Health"